How cold is too cold to play outside? Cold winter temperatures are finally making their way to Iowa for an extended time. Teachers will be monitoring the temperature and wind chill before letting children go outside for recess during school. But, for children, how cold is too cold to play outside? 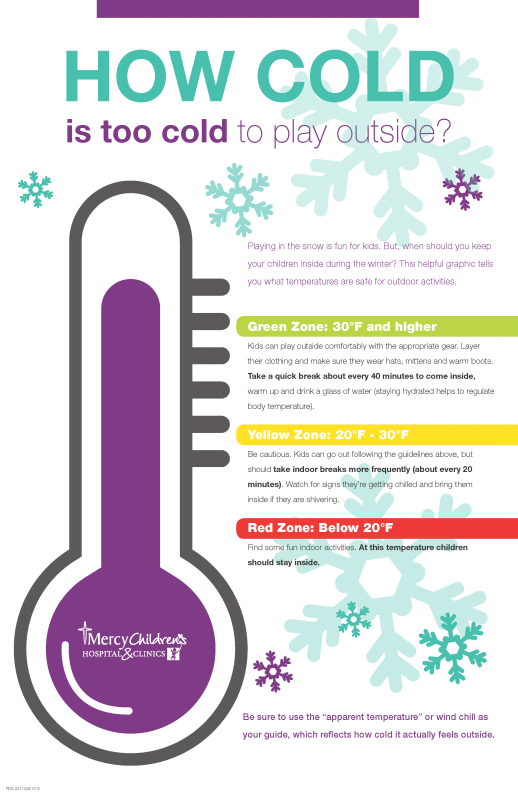 This helpful outdoor temperature infographic will help you determine if the outdoor temperature is safe for children to be outside for long periods of time. And don’t forget to help them warm up with some warm cocoa when they come inside!